I hope your weeks are going well. 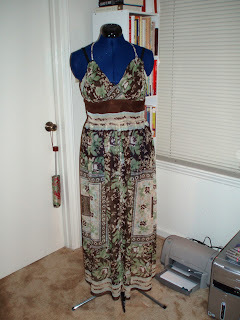 I haven’t posted much on sewing lately, so I thought I’d share the progress of my Butterick 4977 halter dress. So far, so good. Needless to say, I am pretty excited about this dress and hope to wear it a couple of times before the weather gets cooler. So here is a close up of the braided strap. This look was achieved by cutting out six long strips of fabric on the bias, sewing the right sides together, and turning it inside out. Thank goodness for loop turners, because I would have been up the creek with all of those strips! I basted on the outer skirt. I was using mostly French seams throughout, but I think at this point I will use the serger to complete the skirt seam. 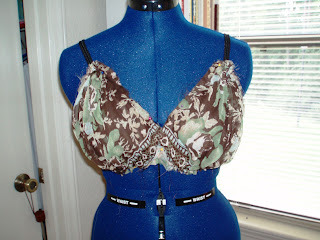 Now I need to attach the lining, insert the zipper, insert some foam bra cups, and hem. Hopefully, I will get a bulk of this done this weekend. Bye for now, and happy sewing! Jo, thank you for stopping by! I’m so glad I could be of inspiration to you. I find many of my fabrics online, particularly Fabric.com (that’s where I got the green/blue floral jersey from) and Fashion Fabrics Club. That’s great that you’re almost done with the Butterick wrap dress. It’s such a good feeling to complete a project. I hope this won’t be your last time stopping by. Take care! very nice! 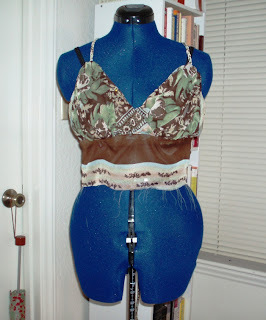 my sewing skills are not up there yet to attack something like this, but I do like. I haven’t put the zipper in yet, but I usually use invisible zippers anyway, especially for sheer/thin fabrics. The finish is nicer looking to me. Yes, I have followed the instructions on this dress pretty much to the tee, and they are very detailed. 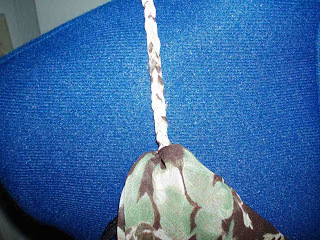 I noticed the pattern envelope calls for an invisible zipper. Did you follow their instructions? Are the instructions adequate? Lovely dress. I really like to strap treatment and the fabric. I really like the fabric you chose for this dress! Can’t wait to see the finished garment. yOU ARE VERY TALENTED…lOVE YOUR WORK!! !